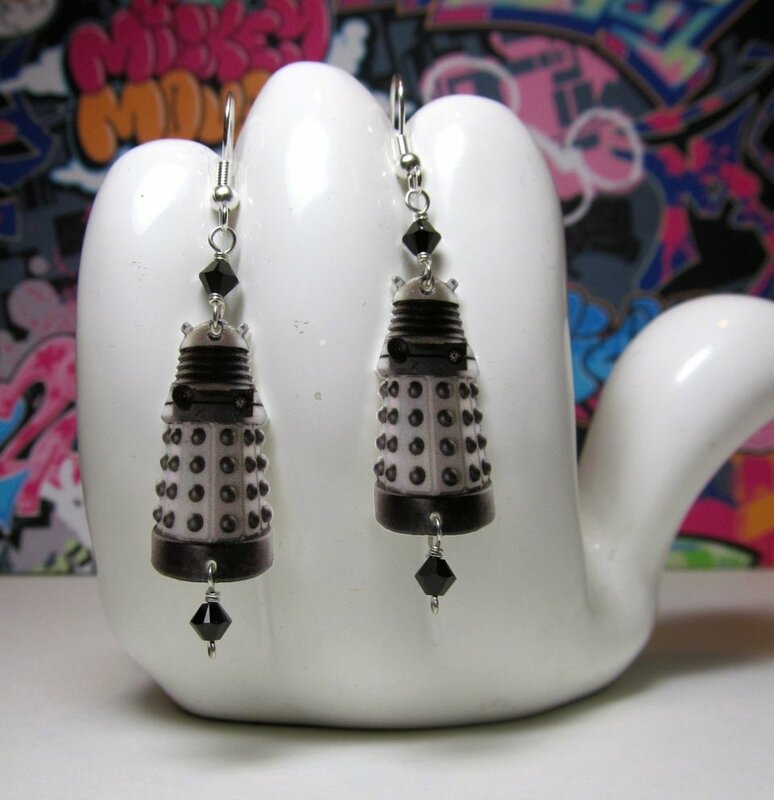 These Doctor Who Dalek Dangle earrings are devious and devised as a dastardly deed by the demented Davros. That’s a mouthful. We’re not sure why they’re being held by Mickey Mouse, but these Dalek earrings are ready to exterminate your earlobes. They are accented with Swarovski crystals for that extra bling look and shine. They measure about 2 1/2″ tall including the ear hooks and are waterproof. They come from Etsy seller HokeyDonut and are just $11 (USD). Great earrings for a geek girl and at a great price. Just don’t be surprised when you hear something whisper “exterminate” in your ear, urging you to do bad things. Because obviously this is all part of some Dalek master plan.